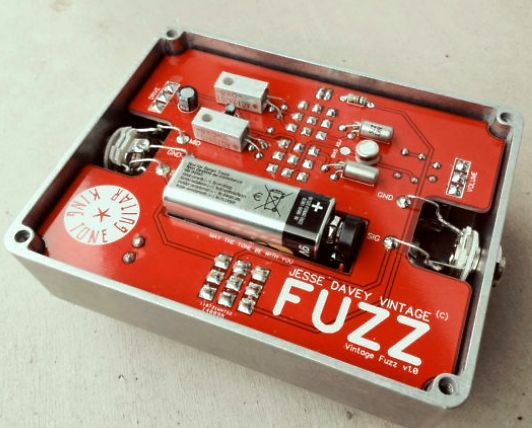 THE ‘JESSE DAVEY’ VINTAGE FUZZ PEDAL. 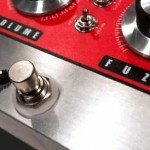 External Bias Adjustment Allows For Easy Tonal or Temperature Refinement. Internal Switches for Vintage/Fat – Bass Response. Internal Switches for Vintage/Boost – Output Levels. Runs on Standard 9 Volt Battery or DC jack Socket. 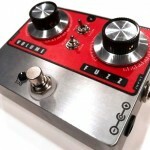 Internal Switch Allows the Pedal to Run Efficiently on an External Battery Box. The switches open up huge tonal possibilities. 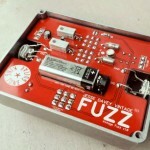 The fuzz circuit uses four vintage Germanium transistors, the switches allow you to select between two of the most popular types used in fuzz pedals. 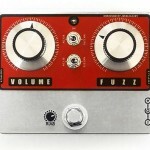 The AC128’s give a smooth softer fuzz with slightly lower gain. 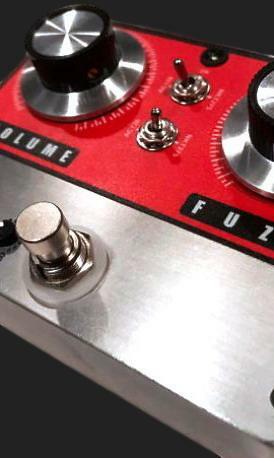 The NKT275’s offer a brighter more aggressive fuzz tone. You can also use a mixture of AC128s and NKT275s for even more tone options. Internal switches allow for classic vintage or extended bass response, vintage output levels or boosted output, which makes it easier to drive your tube amp. Also battery simulator ‘on’ or ‘off’ which helps the pedal sound like it is running from a battery when using a 9v DC input. If running the fuzz with an external battery box, an internal switch allows the battery power to be directly injected into the circuit. constructed. Hand wired on a carefully designed custom PCB. 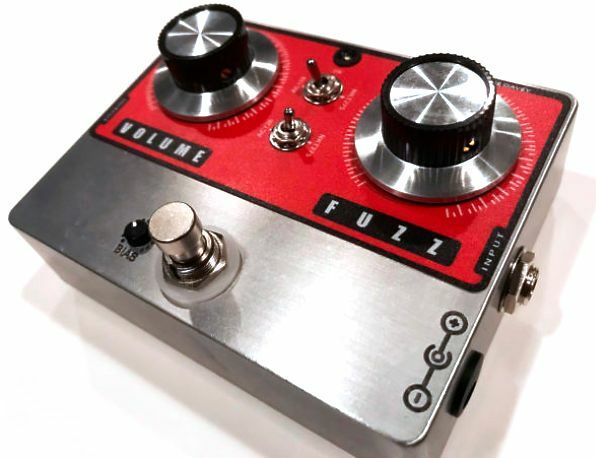 This pedal uses rare vintage components and produces the classic fuzz tones heard and loved for decades and gives you more clarity, more playability, more low end ? 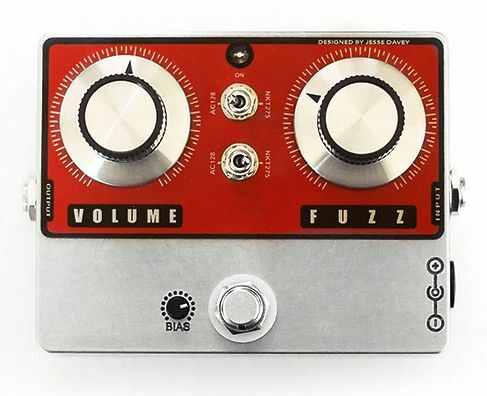 and a more controllability, all this without sacrificing the classic fuzz tone.